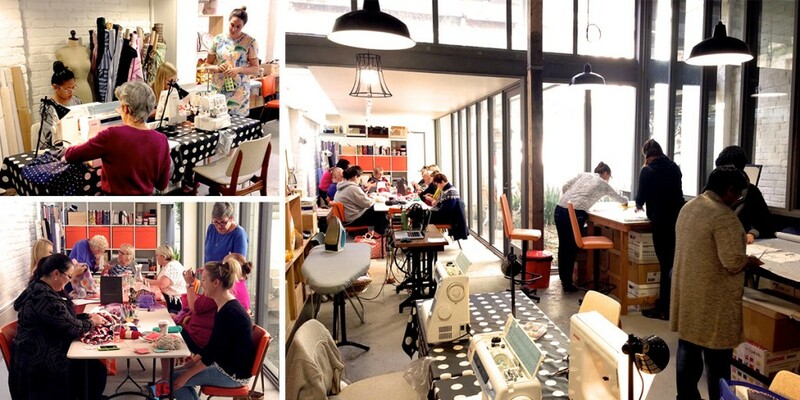 Sew Make Create is a creative workshop for small, intimate classes to teach new skills. Come discover a new hobby and learn from our Teachers who are passionate about their craft. Classes teach a range of skills that are related to design, art and craft. We are also an open workshop space and drop-in sewing studio for Designers, Artists, Makers and Creatives. As an authorised Janome dealer, we stock and supply Janome sewing machines, overlockers and haberdashery. We also service and repair all brands of sewing machines.